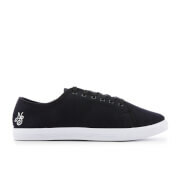 Men's low top trainers from Jack & Jones. Crafted from canvas to create a casual upper, the 'Ross' pumps feature a rounded toe, five eyelet lace-up fastening and tonal stitching throughout. 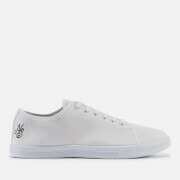 Complete with branding to the tongue and sides, and striped, woven tab to the heel. Set upon a durable sole with Jack & Jones embossed tread.